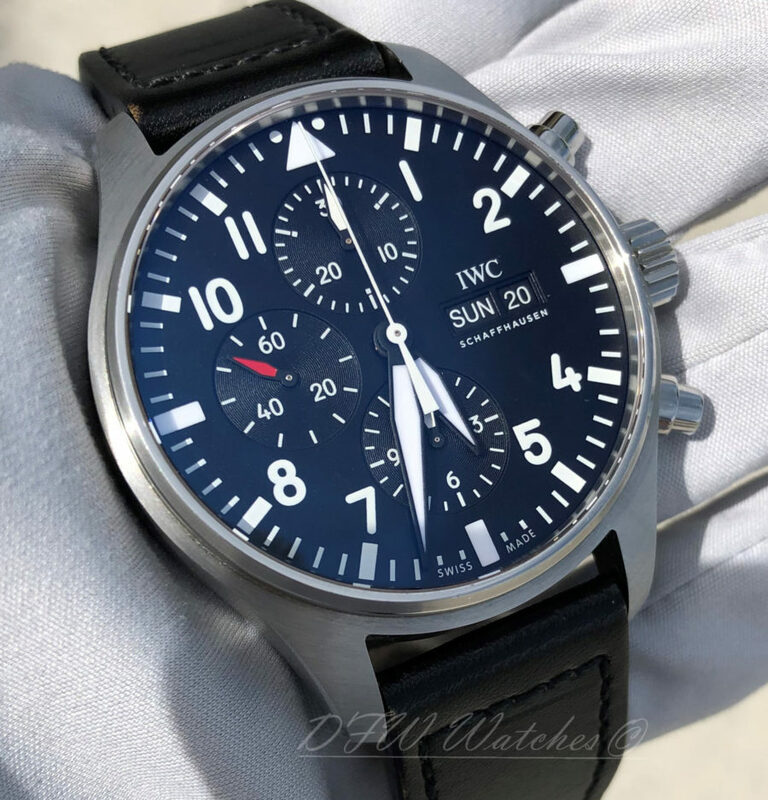 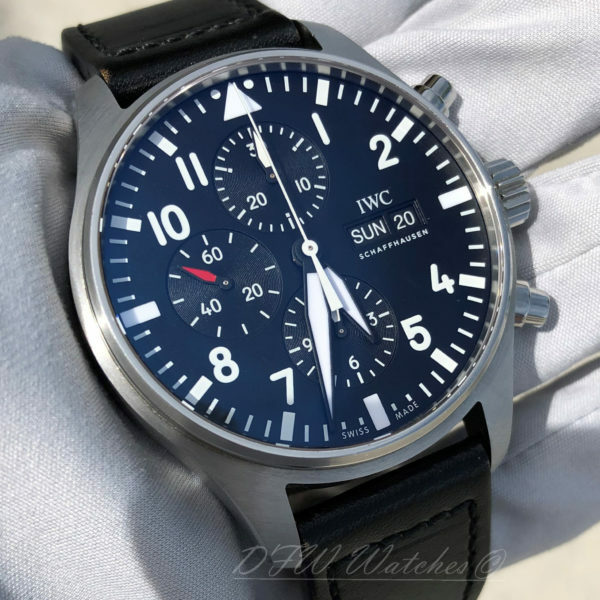 Pre-owned IWC Pilot’s Watch Chronograph IW3777-09 in near mint condition with just a small ding on the bottom side of the case. 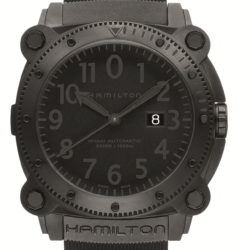 This 43mm piece features a black dial with day, date, and chronograph. 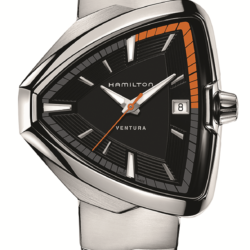 It is mounted on a black leather strap with tang buckle. 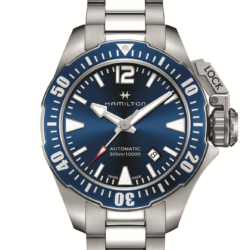 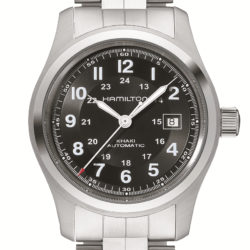 This comes with inner, manuals, warranty card, one year DFW Watches warranty. All pictures are of the actual item being sold.